Hey guys, it's time for the monthly round-up of what I've been loving - deliberately not including anything from my birthday though otherwise it'll be too samey to that post. I hope you enjoy! 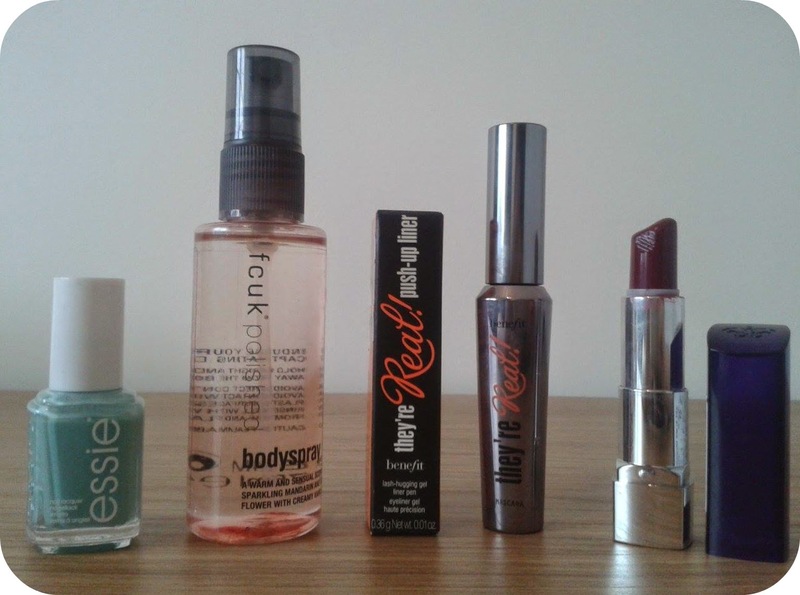 Okay I'm pretty sure I've mentioned every single one of these products as of late - as I did a review post on the mascara and mentioned the others in my Carboot Sale/New Look/Superdrug haul post. Nevertheless, these WERE my top products that I discovered this month and have subsequently been loving the most. Firstly on the left is the Essie Turquoise & Caicos nail lacquer, which was £7.99 from Superdrug and is already my favourite nail polish - my absolute dream colour and it lasts for absolutely ages! Next to that is a 75ml fcuk polished body spray which I managed to pick up for just 50p at a carboot sale on a make-up stall! Gorgeous strong and sultry scent. Next to that of course is the highly praised Benefit They're Real mascara which I managed to pick up from Boots for £19.50 as part of the Real Steal package which also came with an accompanying eyeliner and make-up wipe set. 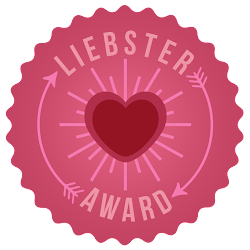 As I mentioned, I already did a review post on that so if you wish to check out what I thought then please click here! Lastly to the right is the Rimmel Moisture Renew Glam Plum Fulham #470 lipstick that I picked up from Superdrug for £6.49 and it's my dream shade - just the right pigmented plum that's not too dark for my pale skin but not too light that's hard to pull off. Lovely! Of course I got the orange Crossley Record player as seen in my 17th Birthday post, and I've accumulated quite a decent little record collection as of late. You've already seen the ones I got for my birthday and those I found at the carboot sale, but these two I was particularly chuffed with receiving. My granddad was a HUGE Beatles fan during their heyday and had a few doubles of some of their albums - and he happily gave me the spares which was amazing! It's these two in particular that I've been spinning the most this month, though. 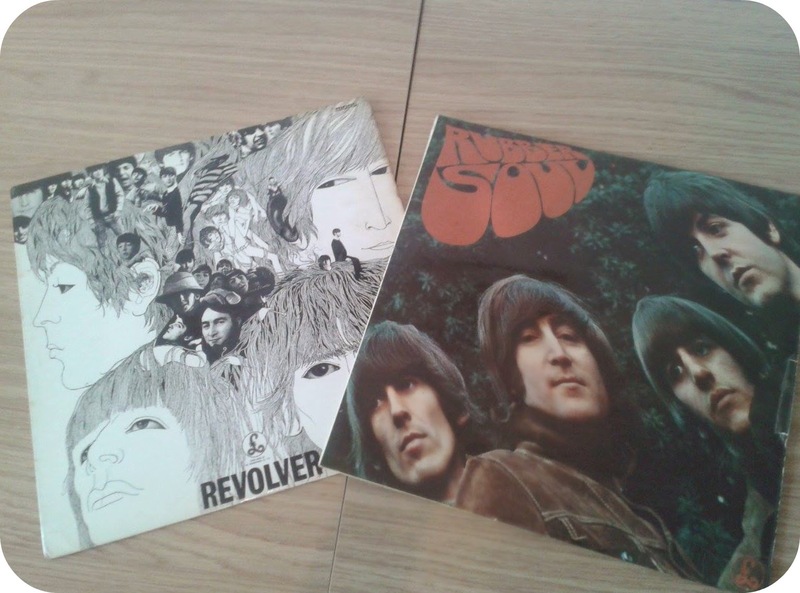 'Revolver' is one of my favourite albums of all time, let alone my favourite Beatles record! Simply sublime and started to give us an insight on their more experimental endeavours, the closer of 'Tomorrow Never Knows' is so ahead of it's time and mesmerising! 'Rubber Soul' is always a great chill-out record too, I particularly love the Lennon moments of the gorgeous 'Norwegian Wood (This Bird Has Flown)' and 'Girl'. Great stuff! Cannot thank my granddad enough as these do not come cheap. A bit more 21st century now, haha! These are the CDs in particular that I've been loving. On the left there is Clean Bandit's 'New Eyes' which I also received in vinyl format for my birthday. I absolutely cannot get enough - their instrumentation is second to none - so inventive, sonically outstanding. 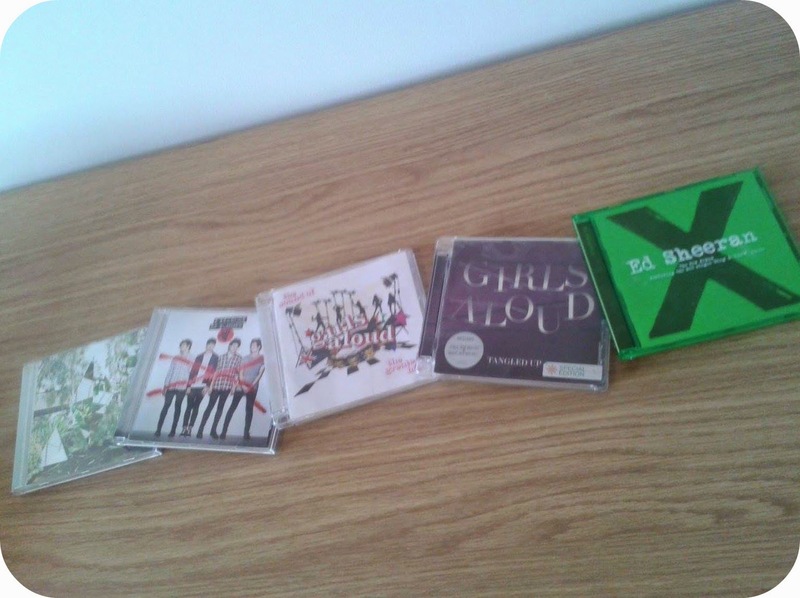 Next to them is a bit more teenage girl like myself - 5 Seconds of Summer's eponymous debut album. It's SO Busted but as someone who listened to them during my childhood, it's like a whole new wave of nostalgia! Such catchy pop/punk tunes here - highlights include the singles and 'Heartbreak Girl' for me. Hah next up is Girls Aloud with 'Sound of...The Greatest Hits!' and 'Tangled Up' which are in no way new... the former was released in 2006 and was one of the first albums I ever bought, and the latter was released in 2007. However, lately I've been re-visiting their back-catologue of slick Xenomania produced pop explosions and it's been a great rediscovery - they were my absolute childhood favourites! Lastly on the right has been an inescapable album - Ed Sheeran's 'X' which is a clever, mellow follow-up for him, a bit more edgy in places but not completely ditching his down-tempo nature in tracks such as 'One' or 'Thinking Out Loud'. How cute is this?? Lately I have been wearing a fair amount of blue, and I was looking through my jewellery box in order to find some complementary accessories when I came across this! 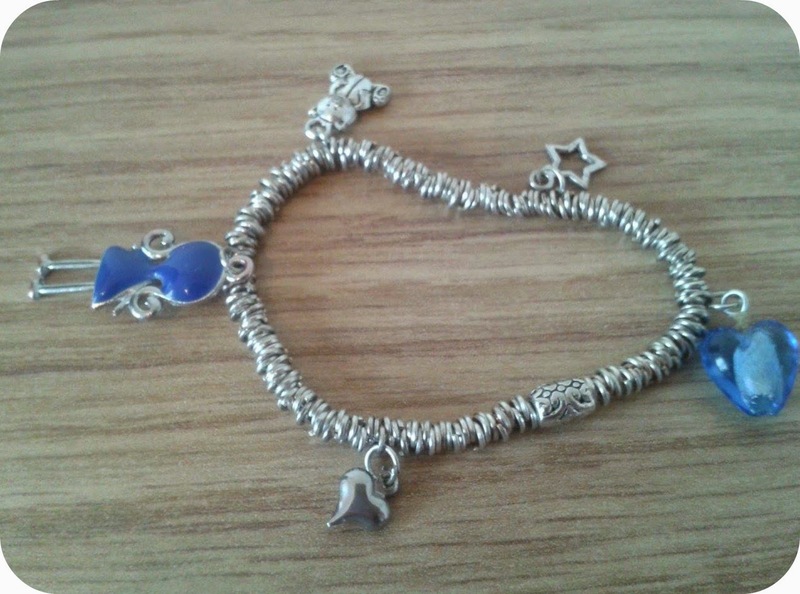 It is a handmade charm bracelet that my best friend Emma made me quite a few years ago. Look how lovely the charms are - a blue girl and heart making it an essential blue accessory, along with a silver bear, heart and star. Who needs Pandora, eh! How cool does this look?! 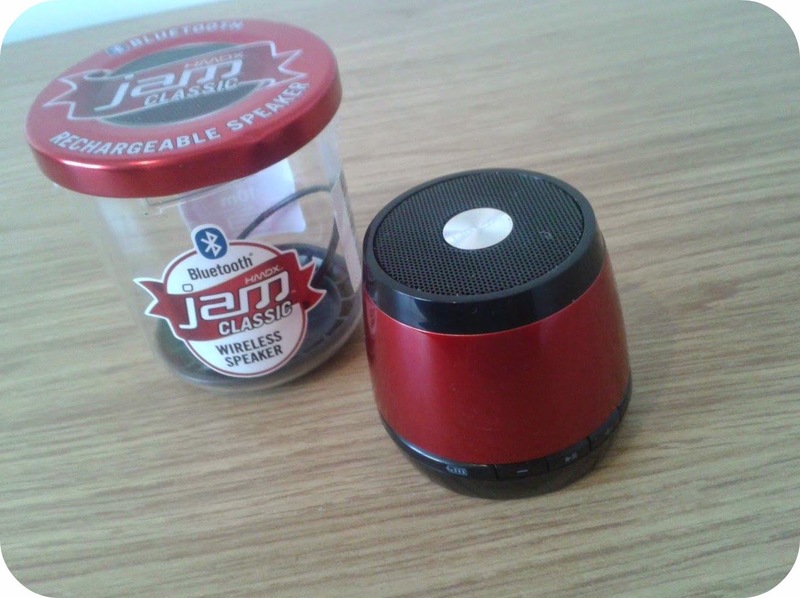 It's a Bluetooth Jam Classic Wireless Speaker that I believe was about £19.00. I love the packaging as it's designed to look like a jam jar and fits the little device inside. I'd been wanting a new speaker to plug my iPod into for AGES and I came across this one and loved it straight away. Really crisp sound quality - I'd definitely recommend it if you're looking for this kind of thing. Very handy and less fiddly that you can connect via Bluetooth as well as by lead, and it also comes with a charger! Haha so recently I was cleaning out my room and didn't have the heart to throw these out, instead using them to decorate and spruce my room up a bit! They aren't exactly fancy ornaments - one of them is missing a leg and one an ear, but I think it makes it all the more endearing. 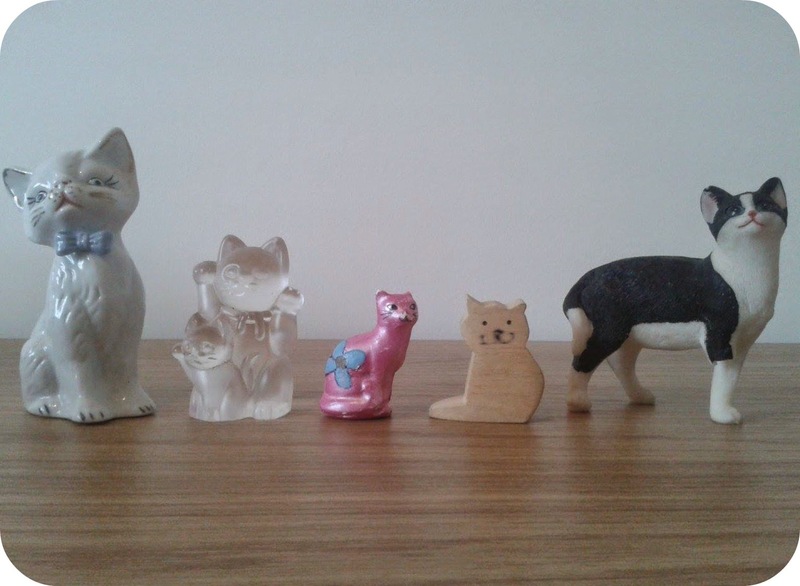 I adore cats, they're my absolute favourite animal, so I found these dead cute and had to decorate my room with them! I thought this would be a good way to round this off in a way of rounding off the summer - because I recently made my first winter purchase! 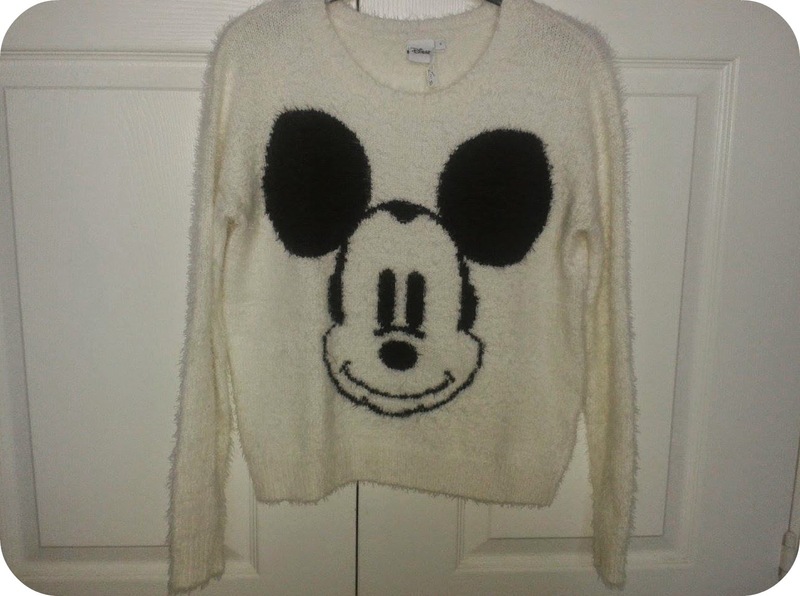 I found this is a charity shop and had to get it as it was SO cute with the Mickey motif and the material is just SO soft, therefore essential for a cold British winter. I'd always wanted a white jumper too, so I was chuffed with this! So that's it guys, hope you enjoyed. 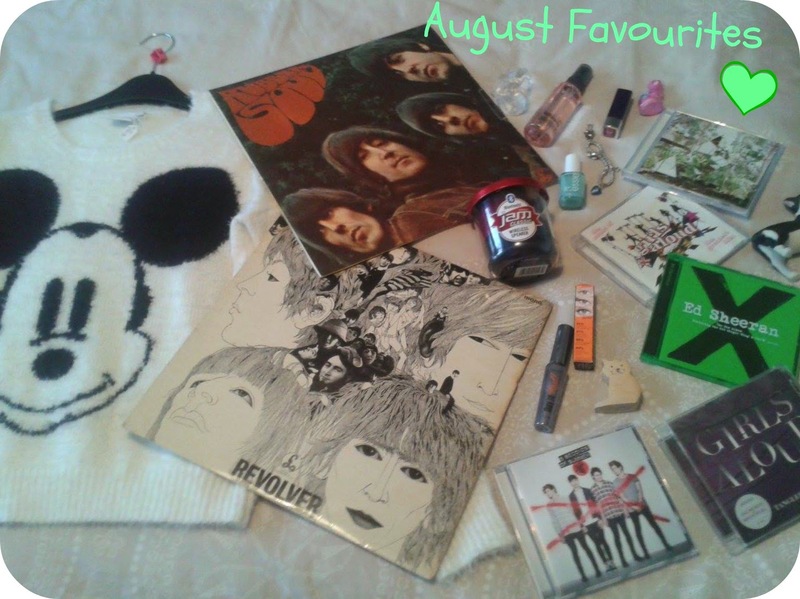 What were your favourite products here, or own August favourites? feel free to link if you wish. I am so in love with that color nail polish and your Mickey sweater! Great list! Wow that nail polish colour! Haha I just finished my Benefit's mascara and I'm missing it quite a bit now - truly a difference in my lashes! I know right it's lush - just reapplied it for back to school tomorrow haha! Aw how long did yours last? Most definitely, I'm loving it right now! I love my record player too! Unfortunately I've had to put mine in storage while we move house, but I think it might be the first thing I unpack once we move! Nice to meet you by the way! Oh yes as a lover of all things retro I have been adoring my record player! Which make is yours? Haha nice call there! You too, lovely! 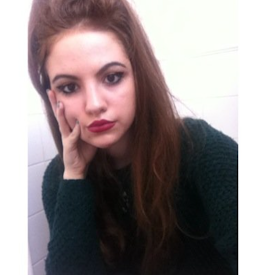 I love the shade of your lipstick and that jumper is so adorable and it looks like it's very warm. Great post and keep up the good work. I'm LOVING Ed Sheeran's new album, it's so good.